In late 2017 Amnesty ran the Group Health Check (GHC) survey for the first time in two years. A big thanks to our action group convenors and members who took part in the survey. 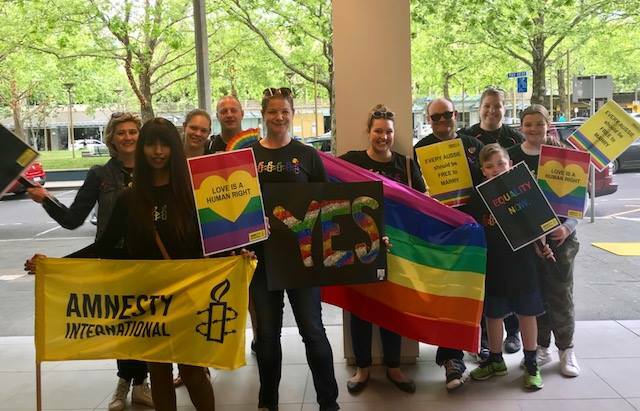 This survey is opportunity for Amnesty to take the temperature of our action groups and to assess if our priorities and campaigns fit with you and how we can improve our support for the important work you do in your communities. There were many valuable lessons gained from the 2017 survey. Below is a quick snapshot of the results. If you want to find out more check out the Executive Summary or if you’re really keen you can read the full report here. Twenty five of our action groups have closed over the past two years. In contrast however, our groups are organising in their communties and are more autonomous and strategic than ever before. 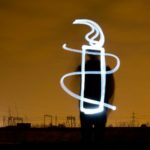 We ask a lot of our convenors: to support, grow and develop their action groups to contribute to Amnesty’s many campaigns. And convenors are feeling it. At present only 11% of groups have a succession plan in place. We will work with our action groups and activists to find solutions to support our convenors better and ensure our action groups are healthy and sustainable. However our convenors are stayers! In 2015 we had 57 new convenors. In 2017 those convenors are still here – 50 of the participating convenors have been around for between 2 and 5 years. Retention of convenors for five years plus has remained more or less stable. A shout to Tim Ash (Forest Group), John Crawford (Walkerville Group) and Michael Becker (Unley Group) who have been conveners for over 25 years! And a big thanks to all of our convenors for your ongoing leadership, passion and dedication. The number of groups that regularly say an Acknowledgement to Country grew by 50 per cent in the last 2 years. About 30 percent of action groups are participating in significant Aboriginal and Torres Strait Islander days or events. And about 20 groups have developed new partnerships with Aboriginal and Torres Strait Islander organisations. Groups are generally happy with Amnesty’s priorities and campaigns and the mix of domestic and international priorities. The refugee campaign is the most worked on campaign among our groups, however some expressed feeling overwhelmed by the ongoing challenges and decline of human rights for people seeking asylum. Community is Everything and Individuals at Risk both tied for the second place of most important campaign. Some convenors are interested in having more Individual at Risk work. If you or your group want to focus on Individuals at Risk in 2018 then come along to the online launch of our BRAVE campaign to find out how you can stand up for human rights defenders. Finding the information you need? Our Leader bulletin used to be one of the primary sources of information for groups. In 2017 you ranked it as 9th! People also expressed some confusion on what resources are available and where to find them. We are reviewing The Leader to make it more effective and resource accessibility to ensure you have the tools you need. Further we encourage our groups to review The Activism Planner regularly to find out what’s coming up. There is a 20 per cent increase in relationships between action groups and their regional Branch Committee. Contributing factors are increased participation in Branch AGMs, event proposals and BC members attending events. Fifty per cent of the participating groups have at least one member between the age of 18 of 25! Plus 88 of our groups expressed an interest in engaging with local high schools (depending on their availability). We are taking on board the insights you provided us with in the GHC survey. We will ensure that you have the support you need to continue protecting and defending human rights and so we can achieve our 2020 Vision.